The Z80 microprocessor is an 8-bit CPU with a 16-bit address bus capable of direct access of 64k of memory space. 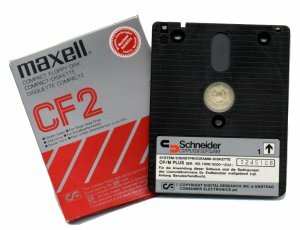 Adressing the 128 KB (i.e. in the CPC 6128) was done by bank switching. 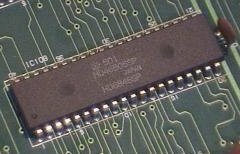 The Z80 has a language of 252 root instructions and with the reserved 4 bytes as prefixes, acceses an additional 308 instructions. The Z80 was modeled after the Intel 8080 and contains the 78 - 8080 opcodes as a subset to it's language. 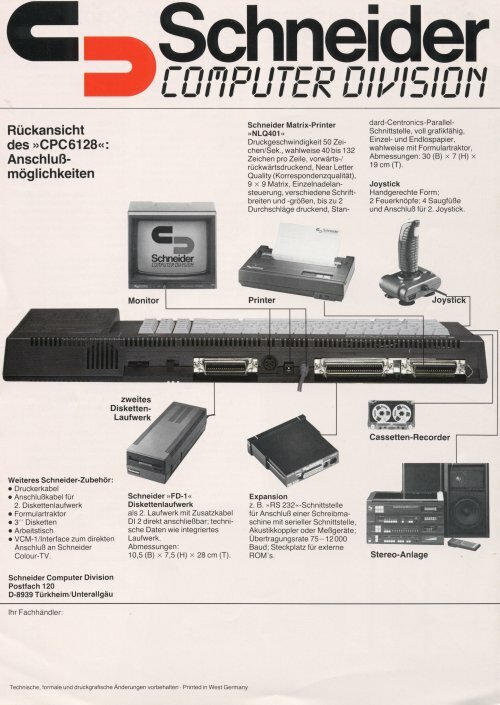 Programming features include an accumulator and six eight bit registers that can be paired as 3-16 bit registers. In addition to the general registers, a stack-pointer, program-counter, and two index (memory pointers) registers are provided. While not in the same leauge as the 80486 or 68000 series, the Z80 is extremely useful for low cost control applications. 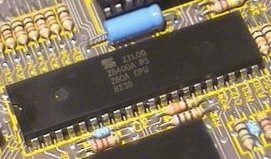 One of the more useful features of the Z80 is the built-in refresh circuitry for ease of design with DRAMs. The Z80 comes in a 40 pin DIP package. It has been manufactured in A, B, and C models, differing only in maximum clock speed. It also has been manufactured as a stand-alone microcontroler with various configurations of on-chip RAM and EPROM*. Operating Temp: 0 - 70 deg C.
All of these screenmodes can be extended a little bit further by using 'overscan', a feature that was also used on the Amiga. For example, by using overscan you could extend Mode 0 resolution to 192*264 in 16 colors. Locomotive Basic 1.1: One reason that the AMSTRAD CPC could sustain a community of programmers for so long is that it's Basic was so good. It was written by Locomotive Software, a team who worked for Acorn before hand. It allowed programmers to do nearly everything that the machine's own built-in programs could do, although machine code programmers would later teach the machine new tricks. Compared to the poor Basic of other 8 bit computers LOCOMOTIVE BASIC 1.1 was quite professional and used a quite common syntax. 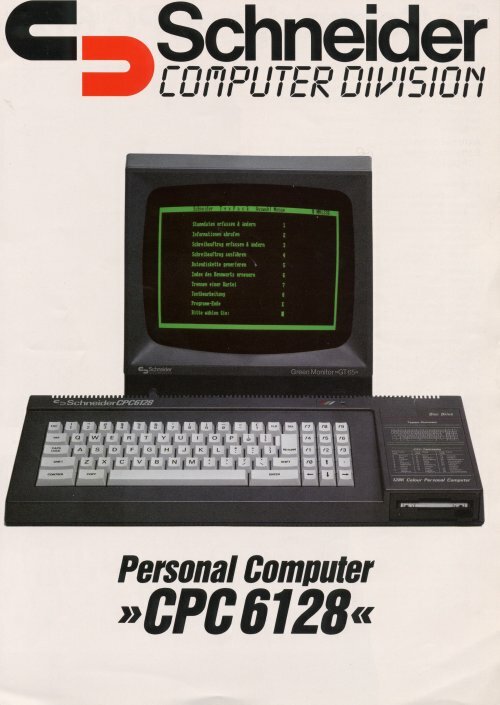 Taken together Locomotive Basic and CP/M (with its programs like Starwriter) the Amstrad CPC helped lots of AMSTRAD programmers and users to feel familiar to things like GW-BASIC or a DOS-Prompt much earlier than other 8-bit users. 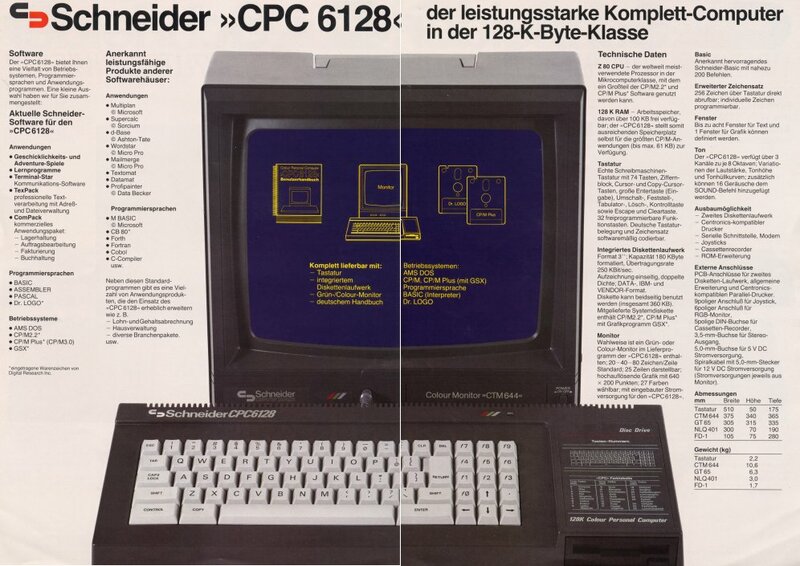 The Amstrad CPC 6128 was the most professional homecomputer for programming in the 1980ies.